Comments: This is a large flowering semi-double rose-pink flower that produces a silvery overcast. It blooms relatively early. Provide camellias a moist, fertile, well drained, slightly acid soil and protection from the hot afternoon sun. 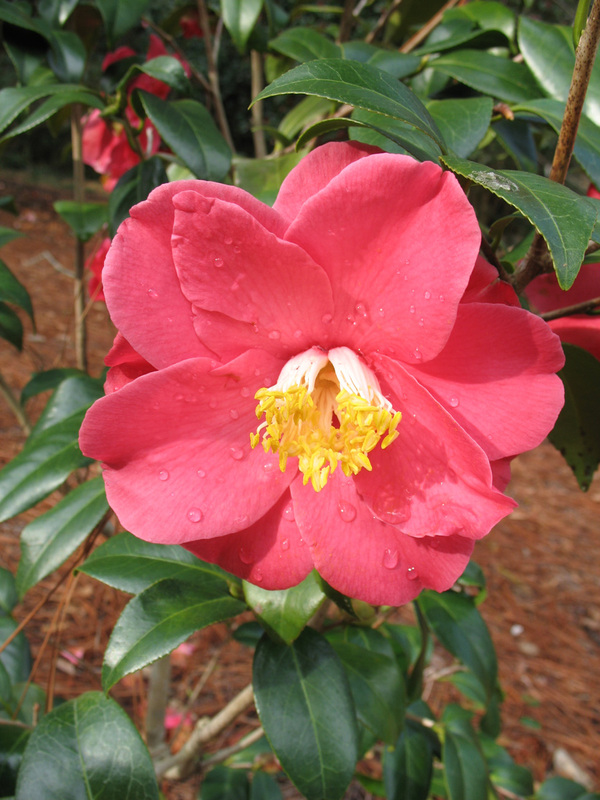 Camellias grow quite slowly at first, but once established they grow at a more moderate rate. They do especially well as understory shrubs to pines and other high branched trees. Camellias are quite drought hardy once they are well established.